75m2 Two bedroom cottage for sale. Enclosed front patio and enclosed back porch area. Kitchen, lounge, bathroom and toilet. Situated at the top of the village, this unit offers a very pretty landscaped front garden and secure parking. The monthly levy of R3,270 includes weekly cleaning of unit, gardening service, building insurance, basic maintenance and 24-hour security. 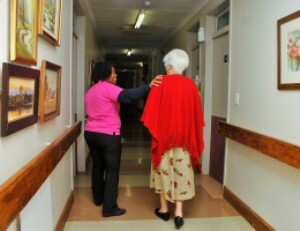 We currently have availability in our frail care section for Male or Female residents in shared accommodation @ R11,460 per month. Also available are single rooms @ R11,570 per month. Includes three nutritious meals per day, cleaning service, laundry service, activity program and 24-hour nursing care under the supervision of a Professional Nurse. Eddy House have the following accommodation available for sale on a life rights basis. Three bedroom flat - upstairs @ R601,000 (levy R2,790) - Available from July 2019. Monthly levy of R2,680 includes weekly cleaning service, garden service,refuse collection and 24-hour security. Electricity is billed according to meter readings. Mid Care accommodation available immediately. Three meals per day, cleaning service, laundry, activity program, 24-hour nursing care available under the supervision of a Professional Nurse. A luxury 2-bed care suite with own en-suite bathroom available for short term care. Ideal for Respite Care; Temporary bookings when family away on holiday; Care whilst we assess residents prior to permanent admission into our Care Centre. The Hub at Elandshaven in Klerksdorp has single accommodation available on a full board and lodging basis. Included in the tariff are all meals, laundry and electricity. Regular activities, transport and outings are available to all residents. 1 Single room for male or female. On suite bathroom consisting of shower, basin and toilet. Access to a small patio and opens up to beautiful gardens via a French door. The monthly tariff includes 24 hour nursing care, laundry, housekeeping, three nutritionally balanced meals per day as well as teas. Our Activities Co-ordinator hosts a programme which has been specifically designed to stimulate and promote the cognitive and physical capabilities of our residents. All residents are welcome to participate. This spacious 2 bedroom cottage with plenty of cupboard space and set in beautiful gardens is for sale on a life rights basis. Large living/dining area with separate kitchen, bathroom with shower and bath, sudy leading to garage and laundry room. North facing patio. Fairleads is a pet friendly village (1 small dog) and offers 24-hour security and laundry facilities. 40m2 unit for sale at Summit Village. This unit is classified as a Bachelor unit with the bedroom able to accommodate a 3/4 sized bed. This unit is sold on a life rights basis. The monthly levy includes security and garden service but excludes water and electricity which are billed according to meter readings. A beautiful spacious 2 bedroom cottage available for sale on a life rights basis. Suitable for a couple, this modern unit in our Phase II and is set in beautiful gardens. This lovely sunny unit also offers a lounge, dining room and study. It has loads of cupboard space and underfloor heating. Modern sparkling bathroom with shower toilet and basin as well a guest toilet. A garage/carport and covered laundry make this an extremely comfortable unit. 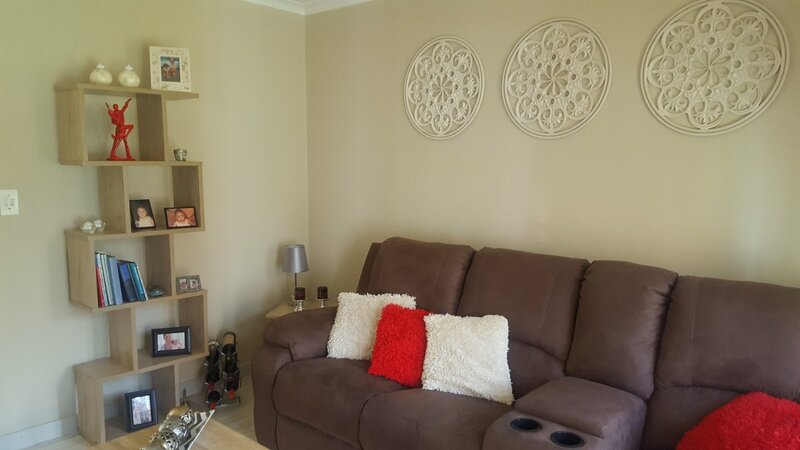 This small intimate home in Klerksdorp (maximum of 29 residents) has accommodation available on a full board & lodging basis. Currently we have availability in a Double room (suitable for a couple if desired) @ R8,170 for single or R11,450 for double occupancy. Also available is a Deluxe room @ R7,640 per month. Our rooms boasts large wardrobes and have direct access onto the garden. The monthly tariff includes all meals and teas, security, laundry, water & electricity as well as gardening and cleaning services. 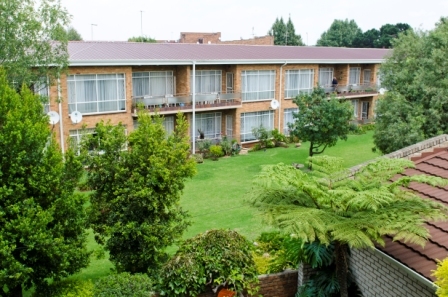 Transport to church and shops is offered regularly and the residents are regularly treated to activities such as braai's, sports days, bingo and outings. Single rooms available in our Mid Care facility at Fairleads. The monthly tariff includes 24 hour nursing care, laundry, housekeeping, three nutritionally balanced meals per day as well as teas. Toilets and bathrooms are easily accessible on each corridor. Our Activities Co-ordinator hosts a programme which has been specifically designed to stimulate and promote the cognitive and physical capabilities of our residents. All residents are welcome to participate. Shared accommodation available in 2 bedded or 4 bedded rooms in our specialist Dementia Care unit. This accommodation is suitable for either male or female residents. The monthly tariff is on a full board and lodging basis.The monthly tariff includes 24 hour nursing care, laundry, housekeeping, three nutritionally balanced meals per day as well as teas. Shared ablution facilities are easily accessible in this unit. Our Activities Co-ordinator hosts a programme which has been specifically designed to stimulate and promote the cognitive and physical capabilities of our residents. All residents are welcome to participate. Recently upgraded ground floor unit for sale on a life rights basis. Lovely newly upgraded one bedroom first floor flat with balcony and ramps leading to units for sale. Accommodation available in our Mid Care facility in single rooms. The tariffs include 24 hour nursing care, laundry, hairdresser, podiatrist and all meals and teas and all rooms have CCTV. All residents are connected to the frail care section via a call bell or panic button. A beautiful spacious north facing cottage surrounded by beautiful gardens. One bedroom with plenty cupboard space, lounge/dining room, kitchen, bathroom with shower only and under cover laundry. This unit boasts underfloor heating as well a lovely patio overlooking the gardens. Fairleads is a pet friendly village (1 small dog) and offers 24-hour security and laundry facilities if required. Beautiful cosy 40sqm unit, suitable for a single person. Newly refurbished bathroom. Unit consists of a comfortable 1 bedroom, living room, kitchen and bathroom and there is plenty of cupboard space. Patio surrounded by beautiful gardens. Pet friendly village (1 small dog). 24-hour security and laundry facilities included in he monthly levy of R1,830. Lovely secure upstairs flat with a big bedroom and lots of cupboard space, dining room, lounge, kitchen & bathroom. Monthly tariff includes water and electricity. 66m2 one bedroom unit for sale on a life rights basis. This unit boasts a lovely fully enclosed front patio area, double doors opening onto a lovely garden area. Consists of a lounge, kitchen, back enclosed porch, bathroom, walk-in shower and separate toilet. The bedroom offers lots of built in cupboards and secure parking is available. The monthly levy of R3,270 included weekly cleaning of unit, weekly garden service, building insurance, basic maintenance and 24-hour security. Springs Retirement Village has shared accommodation available in a 4-bedded room in our Care Centre (Frail Care). This room has an en suite bathroom and is suitable for a Male resident. The monthly tariffs include laundry, housekeeping and three nutritionally balanced meals per day. Our friendly and compassionate nursing personnel are on hand to provide 24 hour nursing services, and our Activities Coordinator hosts a programme which has been specially designed to stimulate and promote the cognitive and physical capabilities of our residents. 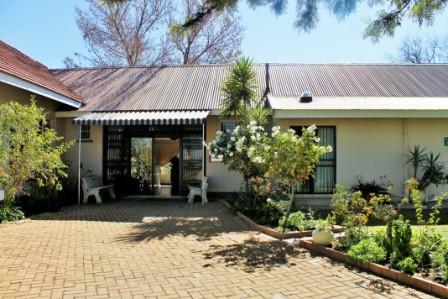 An affordably priced 1 bedroom cottage, surrounded by lush green trees and beautifully manicured gardens, is for sale on a Life Rights basis at Springs Retirement Village. This sunny unit consists of a bathroom, lounge and kitchen with open plan dining area. The spacious bedroom is fitted with generous storage space. The front veranda is perfect for relaxing while you read a good book in the warm morning sun. The back porch has been enclosed for additional storage space. Undercover parking is provided free of charge. Our village is PET FRIENDLY so feel free to bring your furry friend along. Springs Retirement Village now offers short term care. Are you looking for a safe, friendly environment for your loved ones while you take a well-earned rest? Look no further than Springs Retirement Village.